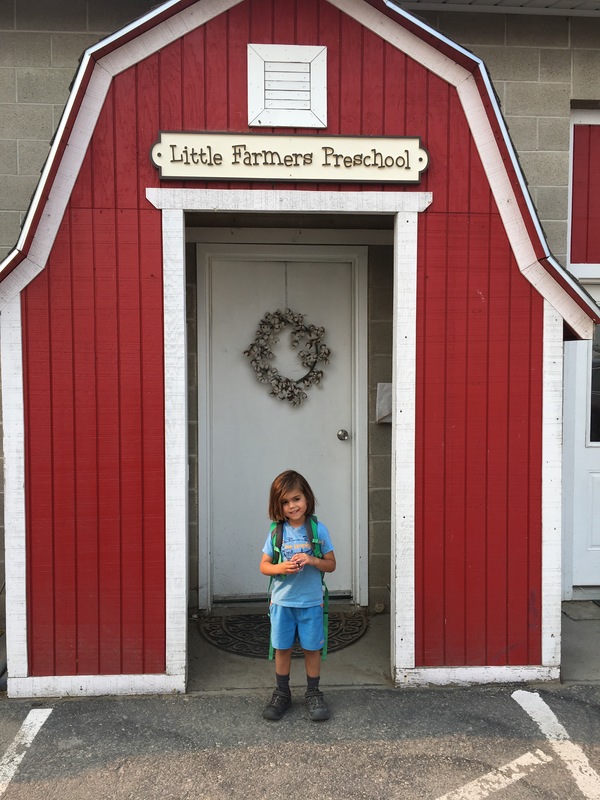 Today is Connor’s first day of preschool at Little Farmer’s Preschool at Petersen Family Farm. He attended farm camp Friday there last year so he is familiar with the school and was eager to return for a new school year. This year he will be going on Monday, Wednesday and Friday mornings. We are excited for him to continue learning in an outdoor environment that enables him to explore in nature vs. what most traditional programs offer. He loves learning about animals, growing crops on a farm and right now specifically he is interested in everything to do with being able to read on his own soon! One of our favorite things about the location of his preschool is that it’s the same place we get our weekly CSA basket! And if we need to buy something mid week, it’s much easier now to just pop in the market when we’re there to pickup or drop Connor off because we’re right there! We love supporting this 5th generation local family farm. 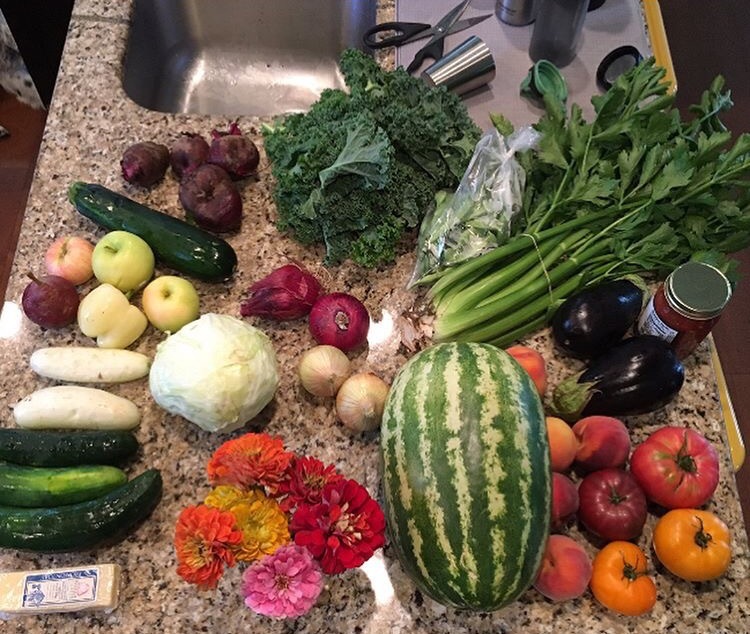 A recent CSA basket from Petersen’s family farm! In conclusion, we truly hope Connor has a wonderful school year (and we enjoy a little more freedom without him by our side, too)! 😂 It’s no secret that we’re all very close and we’re never apart (we don’t use babysitters – so school is a little break for mommy and daddy)! Heather will be volunteering one morning a week when Jerry is home to do dropoff and pickup. 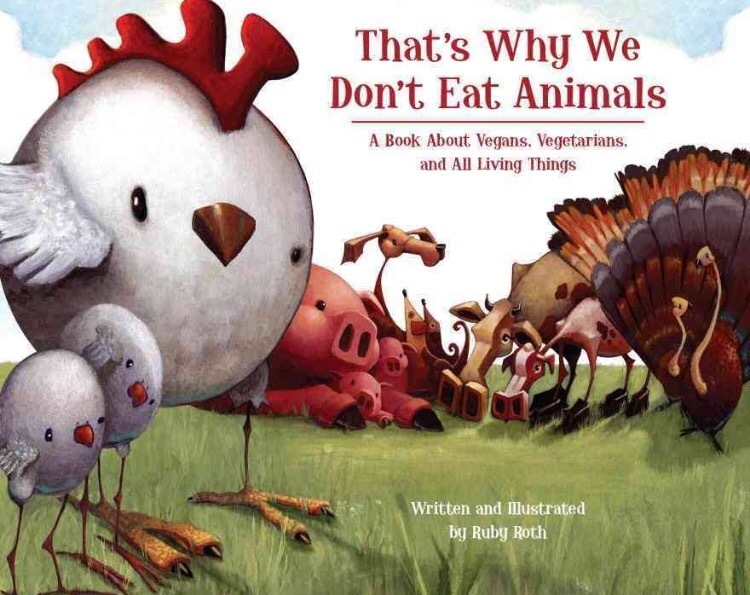 This is the book we are currently reading at bedtime. 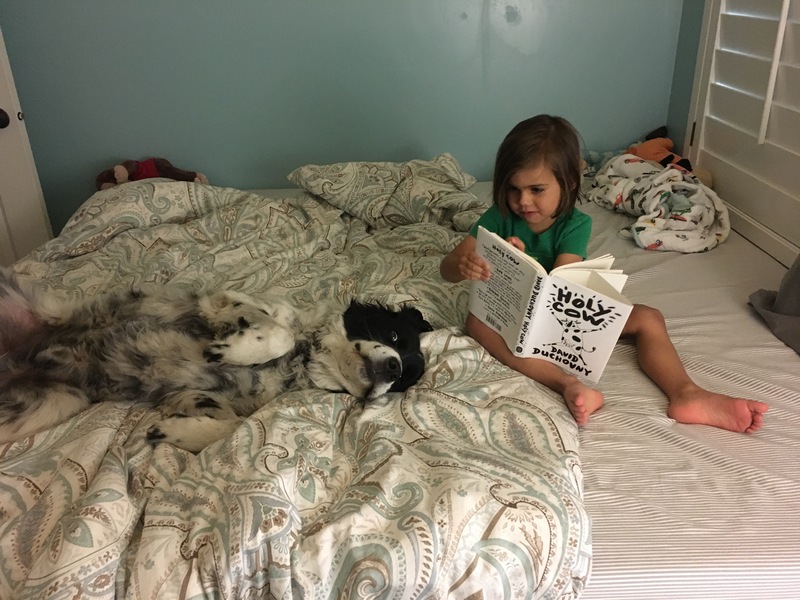 Connor knows my love for David Duchovny runs deep and he is enjoying reading about Elsie the cow and her adventures with farm friends as they leave in search of better (and safer) lives. Another recent library find that Connor is enjoying right now. Previous Post Let’s play a minimalism game (for the 4th time)!